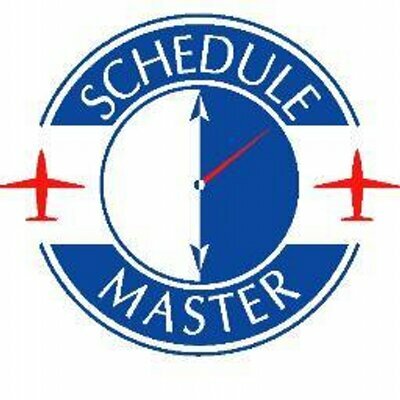 We recently rolled out a new release of Schedule Master. In this release all pages of Schedule Master have been upgraded to newer versions of the software tools. In addition, some enhancements have been added to this release, which are described below. If you right-click any schedule, you will see a list of schedule-related shortcuts. The shortcuts available will depend upon your configuration, but they might include Edit, User Status, Standby, Notification, Preflight, or Postflight. This report will allow you to list changes to static data, such as users, resources (e.g. aircraft, instructors, boats), and organizational settings. You can filter by date, by entity, or by the user that made the change. The report may not include all data changes since all changes may not be logged. However, if there are any missing changes, let us know and we can add the logging for that type of change. This new report can be found by going to Admin >> Reports >> Change Log. FYI - This report is a work in progress. Originally the logging was not visible to users, so some of the descriptions may not be user friendly. Also, some of the new fields may not be populated. The user lists on the user profile pages, the statement, and some other pages now have the option to include or exclude spare users and retired users. This will allow you to look up the information for retired users without restoring them. And, it will allow you to shorten your list of users be excluding spares, while still giving you the ability to edit spare users. You can now convert a club-defined user text field from a textbox to a dropdown list. To make this change and add the option list, go to Admin >> System Admin >> User/Res Options. These new fields can be defined by going to Admin >> System Admin >> User/Res Options. There you can define custom fields for aircraft, instructors, or other resources. You can make it a text or drop down list. You can also decide to display it on the resource list. IE11 was not displaying the calendar control for the date boxes. This issue is resolved in this release. The retired user list now displays the last retire date. The retire date should be listed for any users retired on or after June 6, 2014. There may or may not be a date for users retired prior to that date. The last retire date is also available in the download spreadsheet for retired users. The aging report now lists the status of the last credit card transaction (i.e. Declined or Approved). It also allows you to filter by this field. The running balance was added to the user statements. For those charging sales tax, the user statement was enhanced to allow the purge of an invoice, including both the item sold as well as the sales tax. An instructor user can edit his own instructor resource. An instructor user has sysop-like privileges for scheduling his instructor resource. What happened to the what's new icon on the schedule page? There was a note in our messages that changes were coming, I had to hunt to find this page. please make it easy to find what's new. maybe a drop down under help?